Entrepreneur's Survival Guide to Trademarks, Patents, & More, a massively open online course (MOOC) on Udemy, offers 23 short videos. You have to register to watch, but there is no charge. Thousands of students have taken the course and given it rave reviews. Go here for a free account with access to more vids, quizzes, rewards . . . . Copyright as Intellectual Property Privilege, Serious Science, September 24, 2014 (recorded video interview). See also this article accompanying the video. 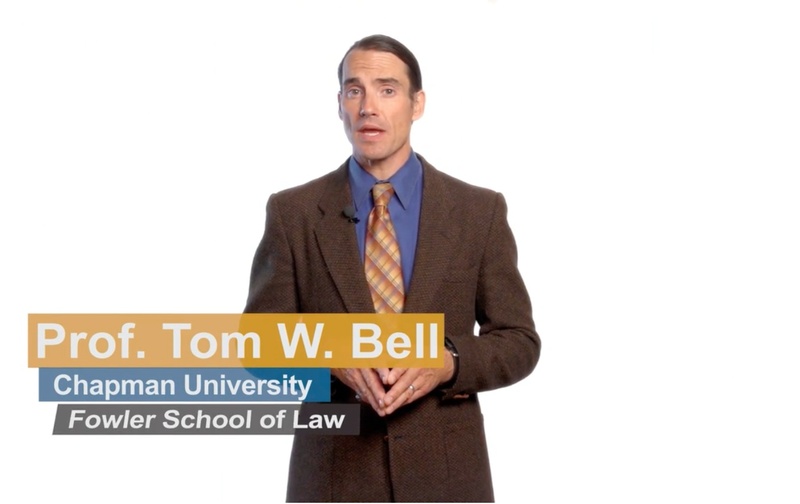 Cryonics Testimonial: Alcor Member Tom W. Bell, August 18, 2014 (recorded video interview). Not the usual kind of thing, granted, but I'm not the usual kind of guy. International Influence on Copyright Law, Serious Science, July 9, 2014 (recorded video interview). (C) 1996-2018 Tom W. Bell. All rights reserved. Fully attributed noncommercial use of this document permitted if accompanied by this paragraph.